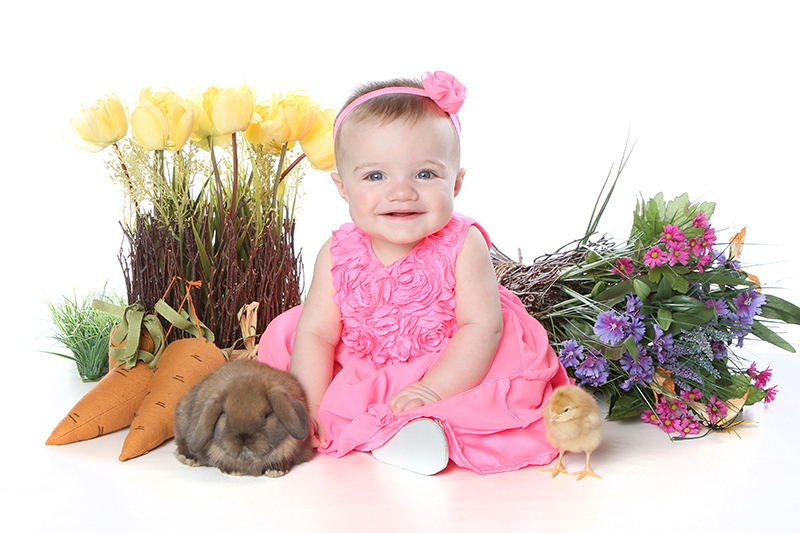 The cost is $55 per group to be photographed with the bunnies and chicks. 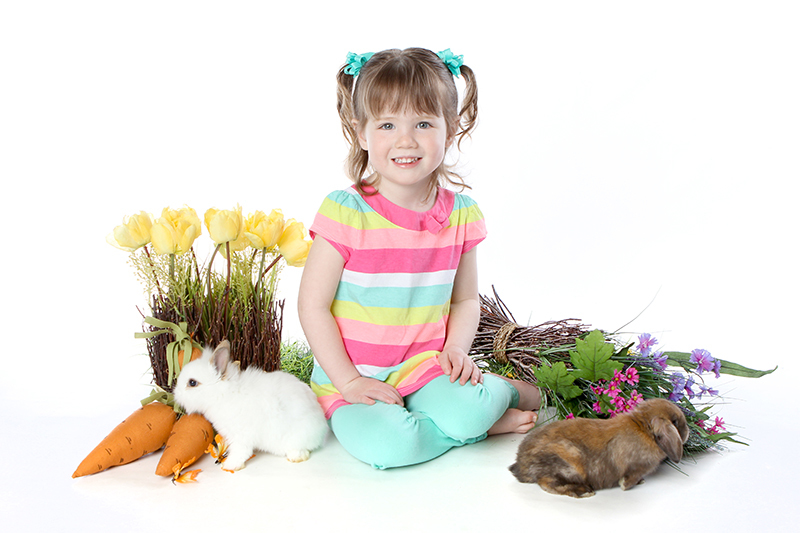 Additional poses within the same immediate family may be added for $25/pose. 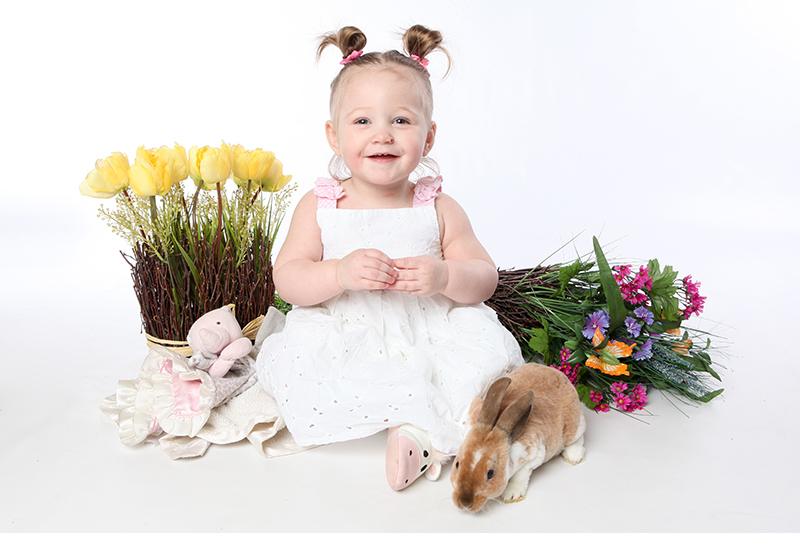 For example, if you have two children and would like them in the first portrait, and then their portraits taken individually, the cost would be $105 — $55 for the first pose and two $25 additional poses. As in the past, this is a charity event!. I highly encourage you to make a donation to my charity of choice — the Pug Rescue Network. This Michigan based rescue was founded in 2004 and their goal is to embrace the neglected, forgotten and displaced Pugs with compassion, providing hope through education and awareness, and helping them by finding their way to a permanent loving home. Those who know me know I LOVE pugs and my very own Dylan (who passed away recently) was rescued from PRN. 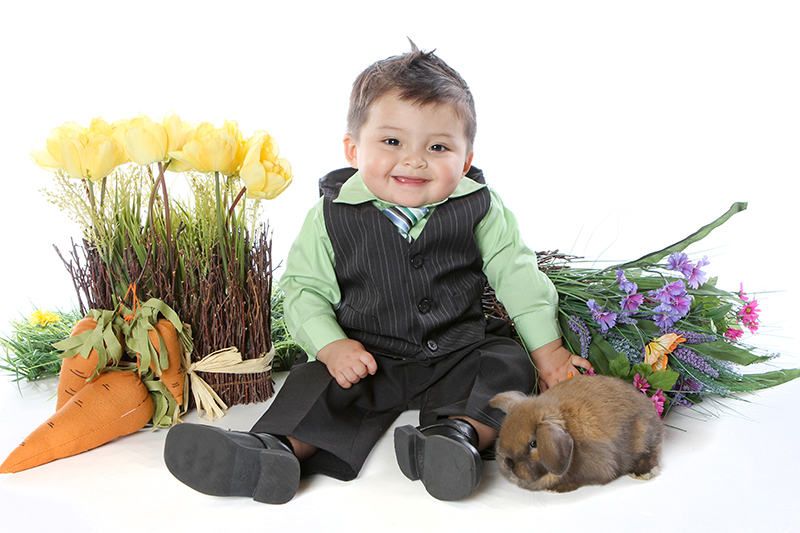 In exchange for your donation of $10 or more, I will gift you a free 20 minute outdoor mini session! Please make your donation (cash or check to Pug Rescue Network) at the Easter event and pick up your certificate. Q. If all your pre-registration slots are full, are you going to be able to fit walk-ins into the schedule? A. Yes! My schedule will permit approximately one walk-in in between every scheduled pre-registration time. There may be a wait for walk-ins depending on how many show up within a certain amount of time. I am amazed by the response I receive every year, and am planning to make sure that I keep a good flow going again this year. Q. 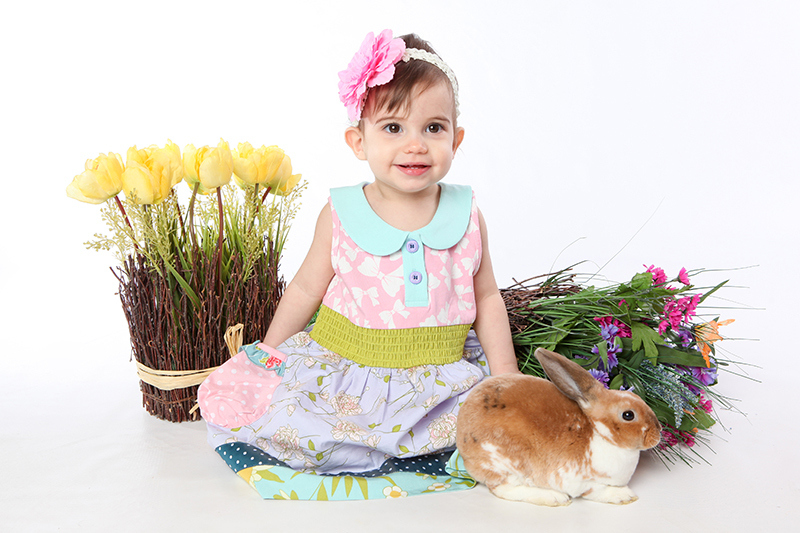 How can I purchase prints or digital images? A. If you pre-register, you will walk in completely paid in full, unless you opt to make a donation to our charity of choice (no credit cards will be accepted for this, cash or check only!) I will have one or two lovely assistants helping me with walk in order. You can pay with cash, check or credit card. This year I will only be offering the digital images with a print release for $55 for the first pose. Purchase of prints after the event will be at the typical studio prices. 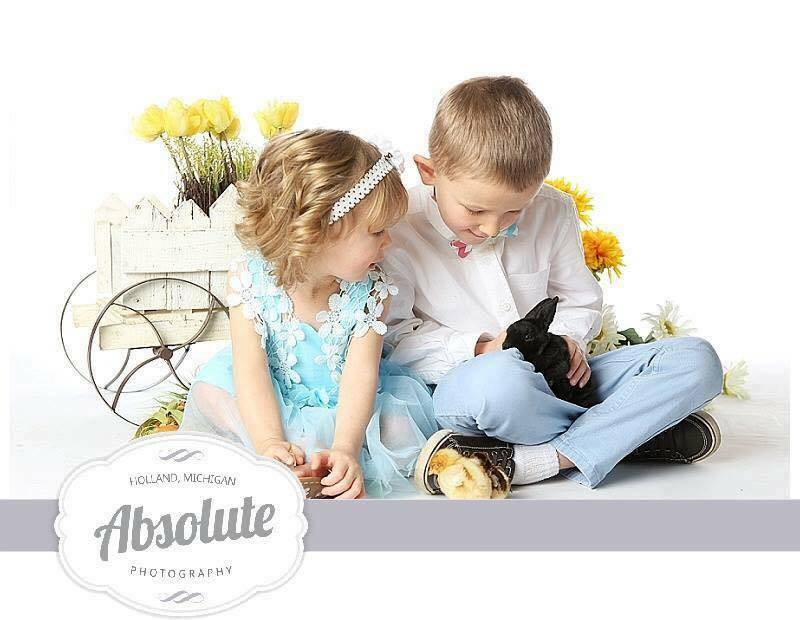 A. Congratulations on your new little one! 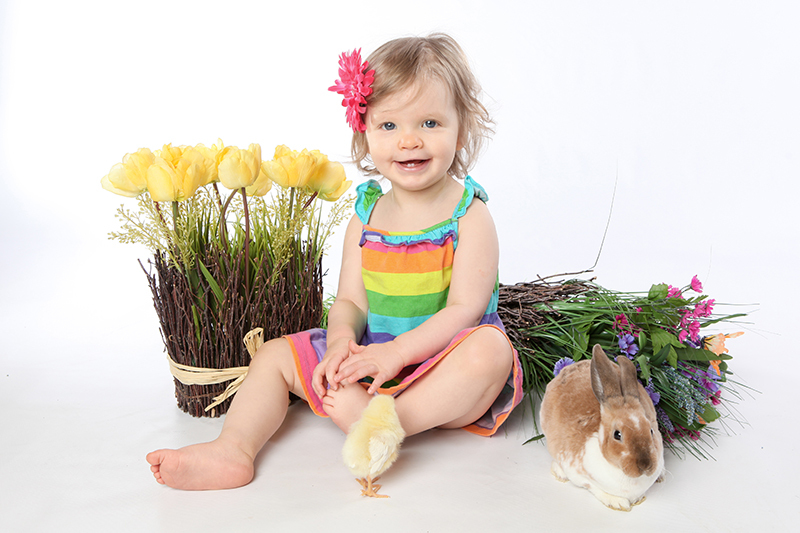 While I photograph MANY newborns and would love to schedule you a regular session, this event is only appropriate for babies who are comfy and able to support their heads on their belly (approximately age 4 months or older) and older children who are able to sit unassisted. A. Definitely! 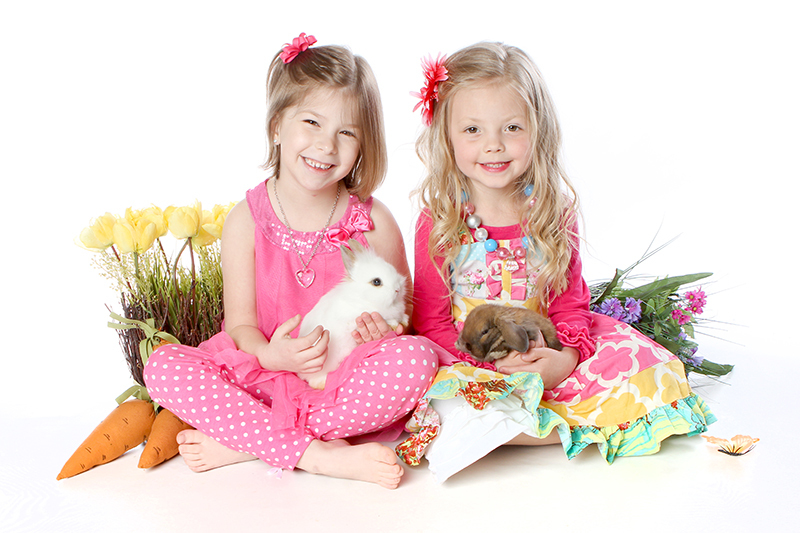 The cost will be $55 per pose, regardless of how many children are in the portrait. 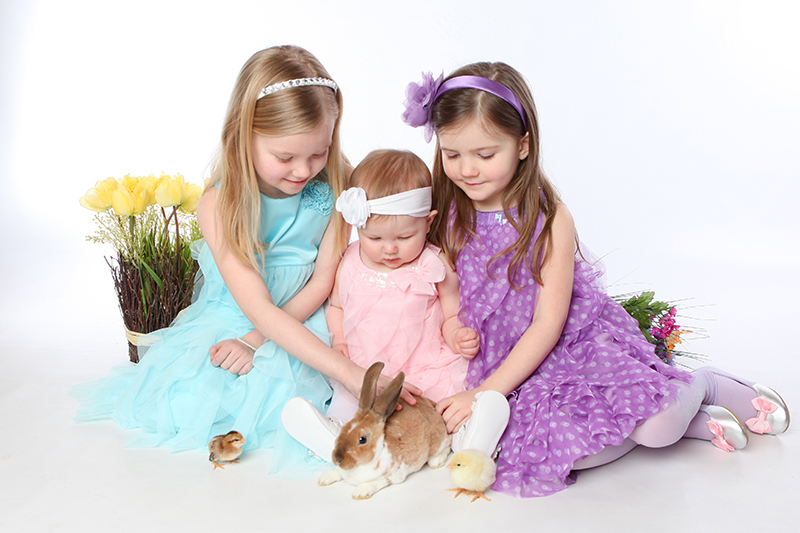 If you would like their portrait taken individually with the bunnies/chicks as well, it will be $25 per additional pose. Q. I’m going to be out of town the day of your fundraiser. 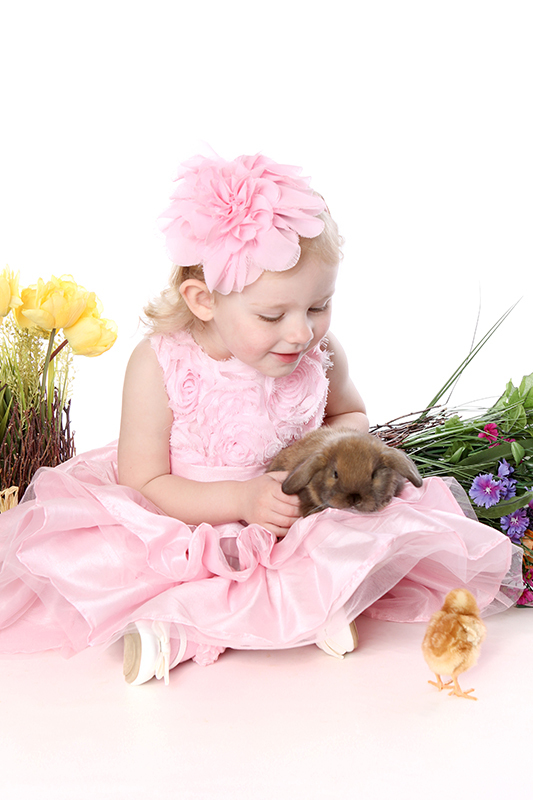 Can I schedule a regular session with the bunnies and chicks for my children? A. I’m so sorry, but this is a one day only event! I hope that you are able to make it next year! 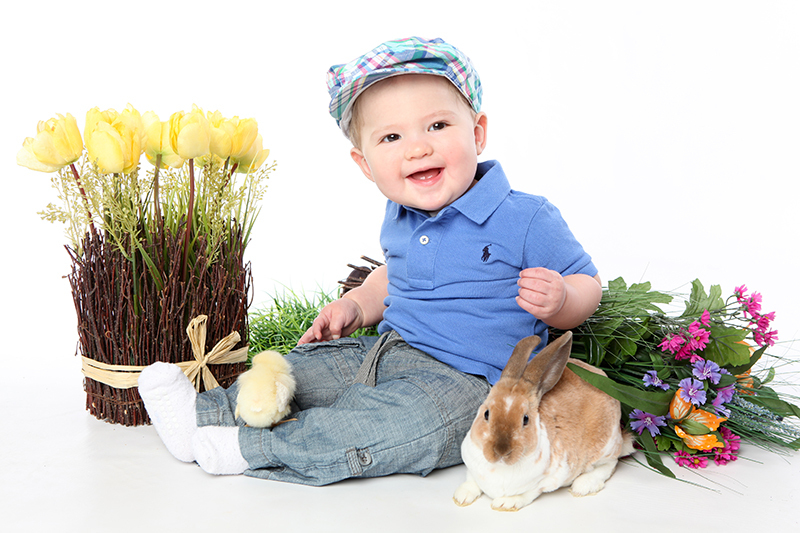 Q. I didn’t pre-register, can I still have my children’s portraits done with the bunny? A. ABSOLUTELY! 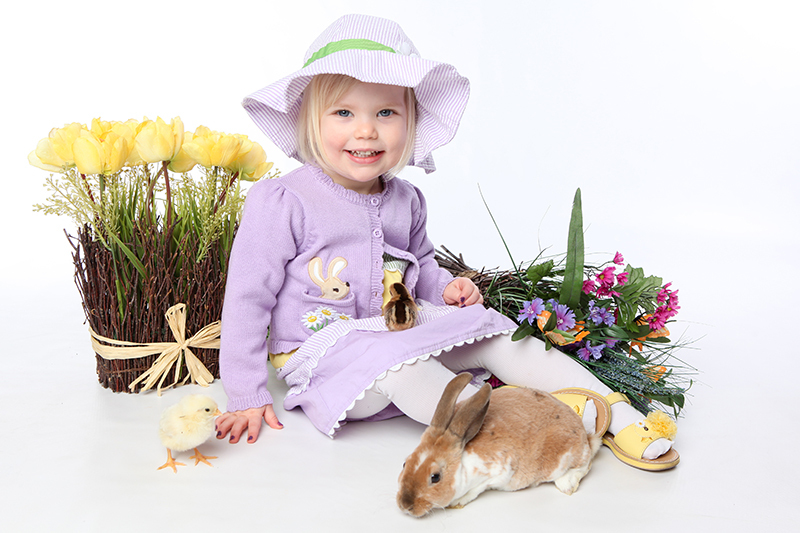 The pre-registration allows you to schedule a time for your mini-session. Basically, this means you get to “cut in line” at your pre-scheduled time! I will definitely accept walk-ins and will squeeze people in where ever I can! A. 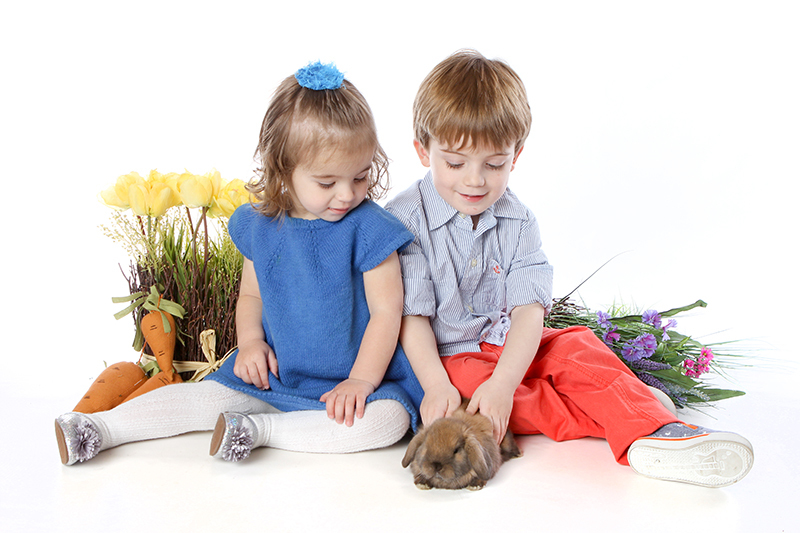 There are usually a handful of children every year who are not comfortable with the bunny. 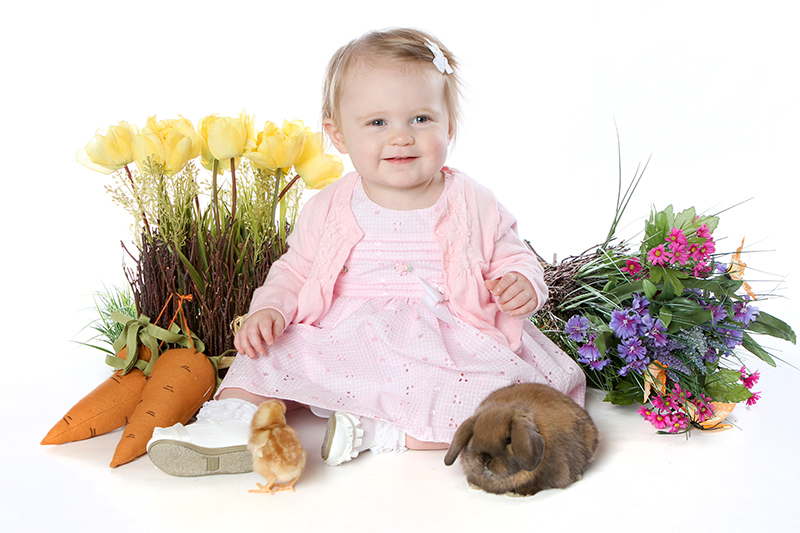 I’ve found that those who didn’t like the bunny, didn’t mind the baby chicks! 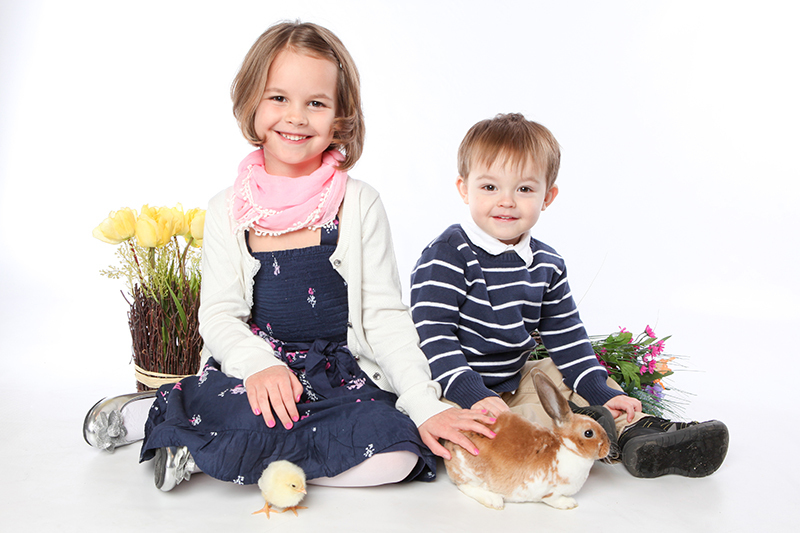 As a last ditch result, I will use a stuffed bunny and the portraits will still be adorable. If your child has a melt down, I recommend hanging out for a while until they become more comfortable. I will let someone else go ahead of you and try again in a little bit. Q. What happens to the animals after the shoot? 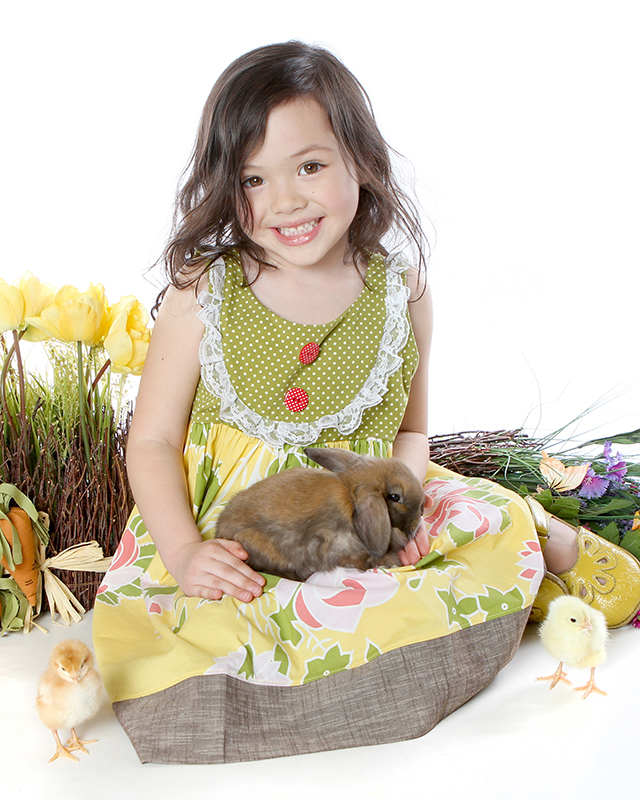 A. I am extremely careful with the bunnies and chicks during the shoot. 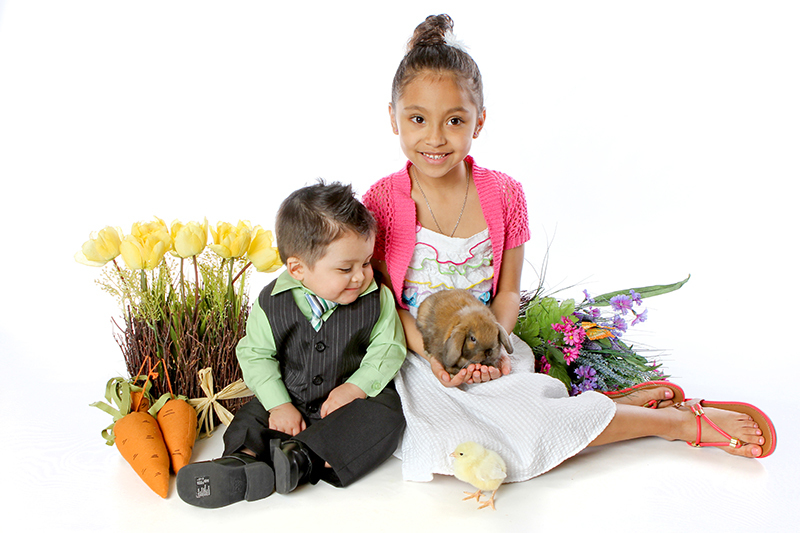 Their safety and the safety of your children is my number one priority! I have never had any injuries during our shoots and plan to keep it that way! 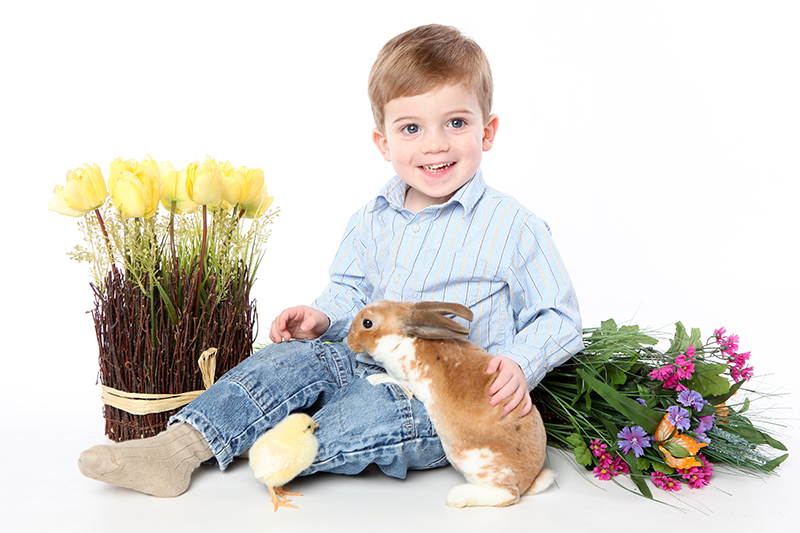 I highly recommend using hand sanitizer after handling the animals. 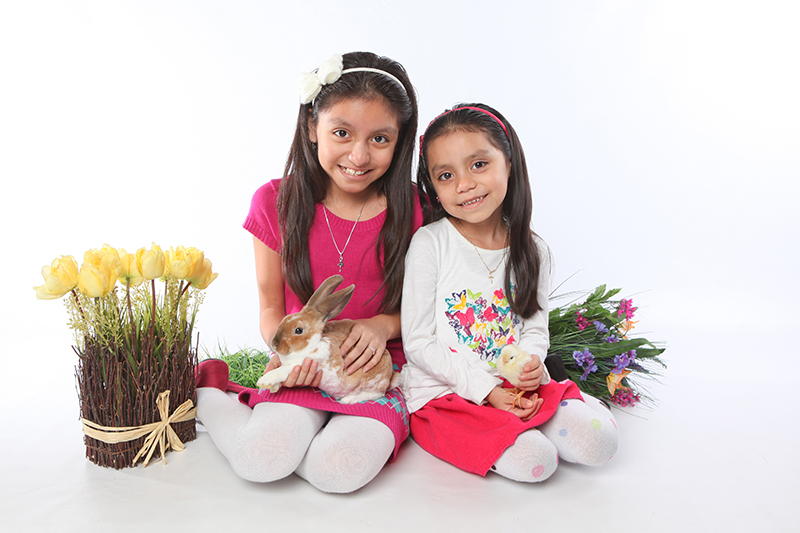 After the shoot, if a family hasn’t already decided to adopt the bunnies (this happens more years than not) they will return back to their breeder for adoption. 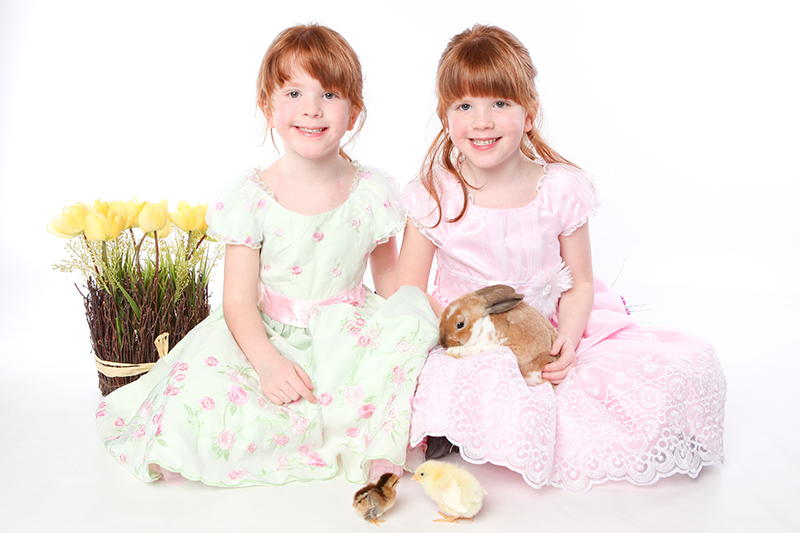 The chicks will join their forever home on a farm and will be fabulous egg layers!